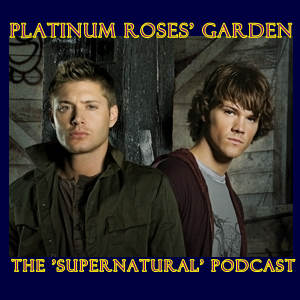 Thank you all for dropping by to Platinum Roses’ Garden, the “Supernatural” Podcast, for the Winchester Lover in Everyone…. PATREON CAMPAIGN – PLEASE BECOME A SPONSOR!!! Platinum Roses’ Garden is a part of PNRNetworks, which is home to Subject:CINEMA and a ton of other great websites and podcasts. And PNRNetworks has launched a Patreon campaign to raise some funds for ALL our shows and sites – we’re hoping to expand a lot of things, raise some funds for some MUCH needed equipment upgrades and more! And we could use your generous recurring support! We’ve got TONS of cool perks at seven different donation levels, and you could really get some cool stuff! Please consider becoming a Patreon Supporter – check out our campaign at http://patreon.com/PNRNetworks and join in on the fun! And help us out BIG TIME in the process! Thanks! Subject:CINEMA – our weekly film podcast, with our weekly topic, the latest news, and much more extensive film reviews than I give here…every Sunday at 7PM ET (or there abouts…usually….) And where can you find it, Kiddies? Why at http://subjectcinema.com of course! Subject:CINEMA presents Front Row Five And Ten, our relatively new list countdown show, where we take on pop culture to the max. It’s also at http://subjectcinema.com! Liked it? Take a second to support platinumroselady on Patreon!